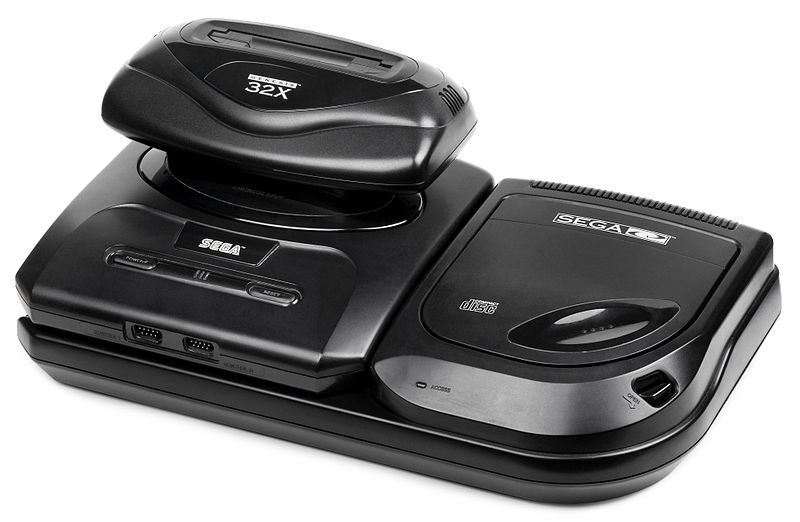 We have finally come to the console I started this entire buying guide series for: the Sega Genesis (and its many add-ons). With a short period of its life having a 55 percent market share over the SNES (the year it launched, mind you), there were plenty of households who had a Sega Genesis. So many, in fact, that there were five different versions of the console and 3 iterations! Depending on the console version, your specs will vary but the list of what you need should stay the same so I’m going to run over the list. Sonic CD is one of those games that it’s just popular to like. I don’t want to start on a negative note, the game does have some merit, but it’s not a particularly good Sonic game and doesn’t quite change the universe like many will claim. Before Sega decided to blitz every console on the market with the digital version, Sonic fans were gnawing at the bit for a decent port (sadly the Sonic Gems Collection ports had emulation issues). Now that it’s everywhere the gaming community seems to have adjusted to a more realistic view of the CD adventure that throws a few imaginative ideas at relatively lackluster level design. At one point you’re forced to beat Metal Sonic in a race. For those that aren’t up on their Sonic history, the hedgehog was co-created by Naoto Oshima and his more known partner Yuji Naka. After the release of the first game, Naka and several members of that team moved to the United States and joined with STI (Sega Technical Institute) to create Sonic the Hedgehog 2. 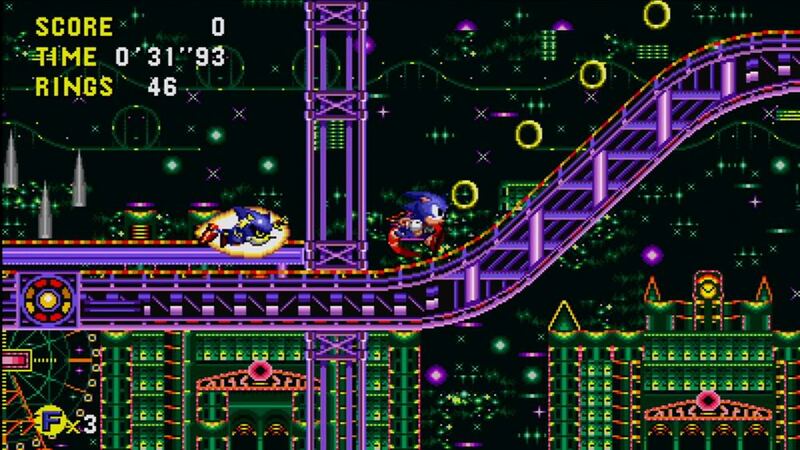 Meanwhile the remaining developers, including Oshima, took the concepts that were in early development for Sonic 2 and expanded upon them into what eventually became Sonic CD. This is why despite coming out around the same time as Sonic 2, Sonic CD looks graphically more like the original and doesn’t seem to adapt some of the great ideas of the sequel. Still, it does feature some interesting gameplay mechanics, like the ability to move into the past and future with two full versions of the many levels. This dual expansion of the campaign does have a casualty: level design. Many of the levels in Sonic CD feature plenty of wasted real estate in the interest of moving quickly to the right, odd gimmicks that net death if you don’t tolerate the so-so platforming, and several instances where Sonic’s momentum is completely spoiled by a random ramp or springboard. Despite these layout flaws I still contest that the boss designs are superior over Sonic 2 and prove that not all of the talent in Sega’s Japanese team migrated to America. 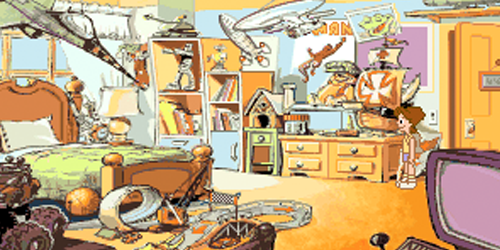 Racing Aces is another in a long line of games that came out before their time. It’s not that the concept is particularly unique – a bunch of different planes involved in a race with occasional weapon combat – but rather that it’s a fully polygonal game trying to operate on a system that just doesn’t have the power. Don’t get me wrong, I love the Sega CD, but I acknowledge that it did nothing more than add some graphical maps and sound channels to the Sega Genesis. This isn’t very conducive to a fully rendered 3D environment for racing. As a result it looks and acts much like the Genesis ports of games like Virtua Racing or Hard Drivin’, with large bare environments that are boring to look at and staggered, slow vehicles that don’t make for an exciting battle. Racing Aces moves sluggishly, the enemies have an unfair advantage, bare bones world, and is a racing game – all negative things in my book – so why do I like it so much? The game starts off with a training arena that gets you used to using the easiest of the four classes of airplanes, the basic bi-plane. It allows you to learn navigation, pointing the plane where you want it, and how to navigate the air before throwing competition your way. It’s during this tutorial level that I learned I had a long way to go and for some reason remained a blocked part of my fond memory of this game. Racing Aces controls like a computer that has too many processes (which may very well be what’s happening) because all of your inputs have drastic changes to the movement of your plane and come a few seconds after you press them, so it’s difficult to re-adjust yourself after an overshoot. You eventually get the hang of it but that really means you get used to tapping directions to slowly adjust your direction to just the right spot. Well until you hit a turn, that is, when everything gets thrown drastically off course and you’re again fighting to fly in a straight line. Since I’ve never flown a plane before, I guess it’s possible that this is a normal experience for pilots but for those of us just trying to play a game it was a bit specific. This speaks nothing for the other planes in each class, there are usually 2-4 different ones, which will force you to readjust to even more picky controls. It’s all worth it once you grind through the hour or so of practice to get your skills up because then you feel like this laughably sluggish race moving at stuttering speeds is actually intense. By the end of it onlookers couldn’t help but crack up as I inched my way toward a finish line. When the movie Jurassic Park came out in 1993, it was an absolute phenomenon. People who had never read the book were picking it up in droves, and from what I could tell through conversation at that time almost no one actually read it. Dinosaur craze returned in full force as Michael Crichton’s novel about a genetic research company cloning dinosaurs on a Costa Rican island brought out the kid in everyone. Not only that, Spielberg’s film adaptation utilized cutting edge computer generated image technology along with stop motion and creature expert Stan Winston to create lifelike dinosaurs onscreen that amazed everyone. Jurassic Park was not only ideal for the medium it was on, the premise was tailor-made for marketing companies to merchandise the hell out of it. Back then development cycles were short and coordinating a solid game release along with a movie wasn’t so far-fetched, and honestly most home ports of the game were as diverse as it came across platforms and all pretty decent. My personal favorite has to be the Sega CD port, which merged details from both the movie and the book to create, of all things, a point-and-click adventure set on the island. The opportunity of exploring the vacant island and interacting with the dinosaurs was a great opportunity, but I didn’t come to appreciate it until I was much older due to the lack of action in the game. Set shortly after the abandonment of the island in the movie, you’re tasked with returning to Jurassic Park after the tragedy that befell its visitors and recover dinosaur eggs for rebuilding. Since the eggs are lost and you are unaware of Dennis Nedry’s specimen can, your only option is to sneak into the nest of the 12 given dinosaur species, recover an egg, and return it to the incubator at the visitor’s center. While locations remain in a controlled environment (you’re forced into fast travel movies that drop you into the screens you explore), there is an awful lot of freedom to roam about. What I found most iconic is the ability to explore areas like visitor center laboratory and even special access to Dr. Wu’s office, the tyrannosaur paddock and seeing the after effects of the attack on the SUVs that Tim, Lex, and Grant were in, and even a tense trip down the island river (which is never featured in the movie but a crucial part of the book’s plot) as dilophosaurs spit venom at you. While this sounds gripping and almost too high brow for 1993, you must remember that this game is a true adventure game not unlike the LucasArts and Sierra titles, which means action is few and far between. Even in the sequences where you do engage dinosaurs, the answer is always some sort of puzzle that usually has you dying quite a few times before figuring out the secret. I think most people who go into this game are imagining something that is a bit more interactive than it is, but if you approach it with an adventure game mindset it weaves an intriguing story. Sewer Shark is another converted game from the canceled Hasbro NEMO console and was intended to be played using a VHS (just like Night Trap) although how they were going to do it is completely beyond me. Most of the games I covered last week were good concepts that resulted in okay launch games that were flawed either by long load times or just not fully fleshed out. I would argue that among the launch window titles, Sewer Shark is the exception. It is a complete video game that utilizes the video functionality of the console and combines it with simple gameplay mechanics to make a solid experience. Set in a post-apocalyptic world, the surface of Earth is unlivable and creatures are forced underground to dwell in drab conditions. Not only that but the creatures of the sewers have mutated, causing larger sizes (scorpions and bats) and hybrids (ratigators – a hybrid of rats and alligators) that make sewers a dangerous world to trek on foot. As a result, little ships that can navigate the sewers, known as Sewer Sharks, navigate the tunnels to get people around, hunt for food, and offer a promise of the one haven left on the planet: Solar City. In Sewer Shark you play a new pilot recruit (nicknamed “sewer jockey”) that has the overall goal of retiring in Solar City. Unfortunately almost every jockey that attempts the trek dies in a sewer crash or by the hands of some mysterious danger in Sector 19, the final stretch before Solar City. As best put by your co-pilot Ghost in the beginning, you receive, “a name, a boss, a friend, and a reason to live…a million pounds of tubesteak, that’s all you gotta deliver today hotshot!” in order to make it to the end. This is important because the game has a very simple task – navigate the sewers, kill enemies to collect points (pounds of tubesteak), and once you hit a million you get the final encounter. It’s a pretty decent setup and definitely a concept not overused in games at that point, unfortunately to collect all this information you have to read the manual and play close attention to the introduction that can be skipped by simply pressing start. Another early Sega CD release, while most of the games that came out near launch were cool new CD-ROM interactions and FMV games, The Adventures of Willy Beamish was a port of an Amiga point-and-click adventure title that received several enhancements on Sega’s system. Published by Sierra, one of the two major producers of the adventure genre at the time, Willy Beamish totes you along on an adventure of a nine-year-old boy and the several decisions and influences you will deal with. Beamish is somewhat of a troublemaker as established by the opening scene in detention on the final day of school before summer break, which begins your adventure by sneaking past your ancient teacher and getting home. In typical Bart Simpson emulation for the time, Willy rides a skateboard, has a pet frog, and is prone to causing problems for any adults in his wake. From then on an amusing tale of a young boy saving his town unfolds that has you doing everything from the mundane – playing with your younger sister on the swingset – to the completely crazy – combat with a vampiric babysitter. 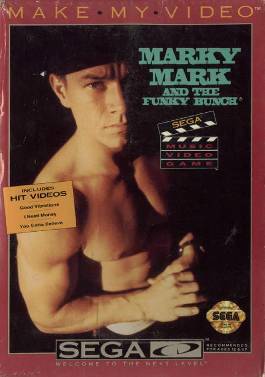 As much as many critics have compared this game to a storybook come to life, little touches like a playable video game console in your bedroom and somewhat brancing plot paths show impressive game design for the time. Sherlock Holmes Consulting Detective is a bit of an anomaly in the realm of video games. Much like Myst, the game premiered on CD-based consoles and computers to show off the benefits of the new technology, but was much less of a game than it was an interactive form of media. 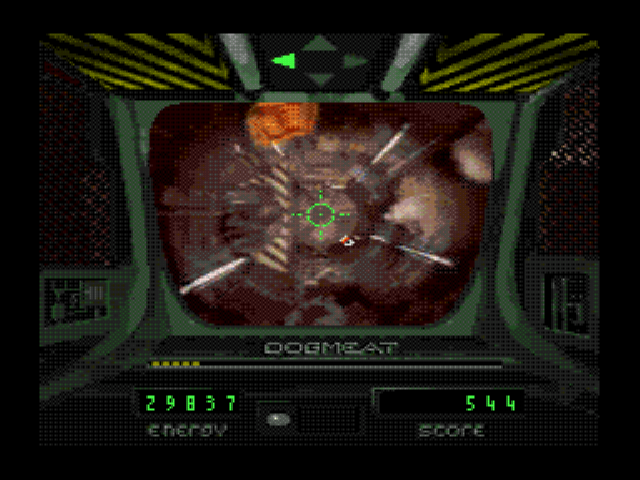 A basic interface allowed the player to navigate various options and view content (mostly video) in order to solve one of the popular cases that originally appeared in the novel by the same name. 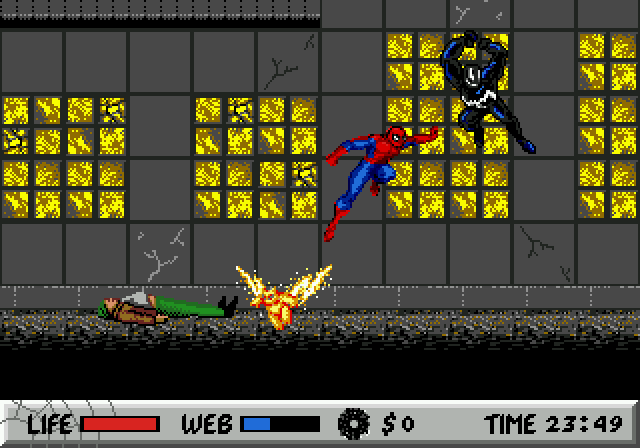 To show off all of the fancy marvels of a multimedia CD-ROM title there was complete focus on showing off content rather than optimizing any aspect of the game for quick playing, resulting in a few simple actions taking ridiculous amounts of time to accomplish. I was recording gameplay videos for this article last night and it took more than 30 mins just to capture the “tutorial” that includes many icons, each with its own slow loading audio (no subtitles) background, and a video from Sherlock Holmes himself. It was so slow-paced and boring to capture, I made the executive decision that it would be even more boring to watch and scrapped the video. Don’t let this discourage you, especially with the re-releases likely having no load times, Sherlock Holmes Consulting Detective is a thought-provoking hybrid between the adventure genre and the full motion video (FMV) game.